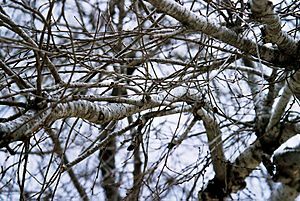 A branch or tree branch (sometimes referred to in botany as a ramus) is a woody structural member connected to but not part of the central trunk of a tree (or sometimes a shrub). 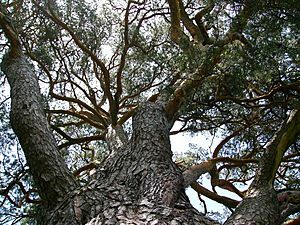 Large branches are known as boughs and small branches are known as twigs. Due to a broad range of species of trees, branches and twigs can be seen in many different shapes and sizes. Branch Facts for Kids. Kiddle Encyclopedia.